There’s no question about it – online reviews are a great tool for any business to establish a viable web presence. Reviews can increase sales, improve rankings, and create more marketing avenues. But the most important thing reviews can do is engage customers and therefore, breed more reviews. The only catch is that not just any review will benefit your company. Only positive, relevant, and authentic reviews will do the trick, and here’s why. According to BrightLocal’s 2015 Local Consumer Review Survey, each year there are more consumers reading a company’s reviews before doing business with them. Just in 2015, the survey showed that 92% of consumers read online reviews. Naturally, while the amount of consumers reading reviews increases on a yearly basis, the amount of consumers not reading reviews decreases, and it’s doing so pretty quickly. According to the same study, in 2011 29% of consumers did not read reviews, by 2014 the amount went down to 12%, and this year, it’s at 8%. 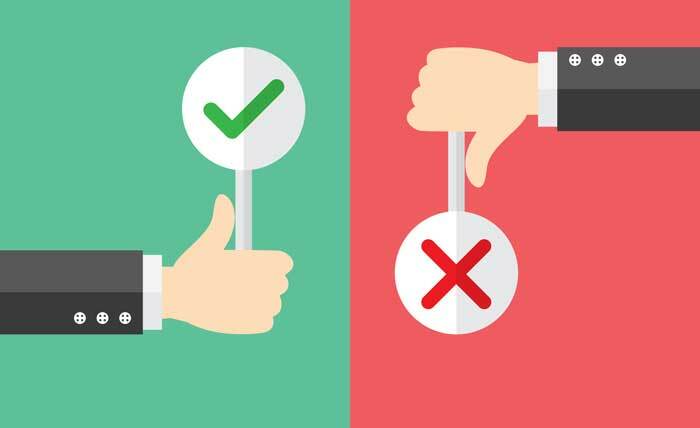 More important than having a potential customer read an online review, is having quality reviews from which that customer will form an opinion on. According to BrightLocal’s survey, 40% of consumers said that they form an opinion from reading one to three reviews. Additionally, 73% said they need to read one to six reviews before forming an opinion. Based on these numbers, we can deduct that while it’s not important to have thousands of reviews on your company, it is integral to have an overall good business rating. Recency is also another key factor about online reviews. Since a good amount of consumers seem to only read anywhere from one to six reviews, it is essential for your company to closely monitor the recency of its reviews. Recency comes into play not only because of the visibility of the online reviews, but also because it plays a big role when a potential customer forms an opinion. According to BrightLocal’s survey, 44% of consumers stated they take into consideration a review that has been written within one month, while 69% consider a three month old review still relevant. Only 31% say that reviews that are older than three months are relevant. Lastly, authenticity is key when gathering online reviews. BrightLocal’s survey shows that 80% of consumers will trust an online review as if it were a personal recommendation as long as the review seems genuine. Authentic online reviews will undoubtedly help your company to engage potential customers. A personal touch will lower consumers’ fears of reading fake reviews, motivate those consumers to do business with your company, and ultimately breed more reviews from your happy customers.